Knowing the type or types of grass that makes up your lawn can help you care for it properly. Bentgrasses: often found on golf course putting greens, this high-maintenance turf has fine, slender, flat leaves with membranous ligules. 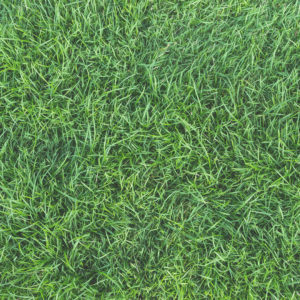 Kentucky Bluegrass: resulting in a darker green lawn than any other grasses in the area can produce, Kentucky bluegrass is soft and resilient with V-shaped blades and canoe-pointed tips. Perennial Ryegrass: this low-growing turf shiny, stiff blades with pointed tips, sharp creases, visible veins, and broad collars. Ryegrass produces a soft, dark-green lawn. Rough Bluegrass: soft, narrow blades with canoe-shaped tips. Rough bluegrass tends to lie flat in one direction, creating a fine-textured, yellow-green lawn that is quick to turn brown in summer if not watered enough. Tall Fescue: this turf has the widest blades of any grasses in the area. Green to dark green in color, it is easily identifiable by its conspicuous veins, rough edges, ridged surface, and smooth underside. Tall fescue grows in clumps and has stiff, coarse individual blades with pointed tips. Fine Fescues: this group of turfgrasses tends to remain green from season to season. The most identifiable characteristic of the fine fescues is their thin, folded blades and dull green-gray coloring. The blades create a very soft lawn and have dull undersides, keeled tips, and are not veined. Love Your Lawn with Green Lawn Fertilizing. We know how to care for every type of grass in Pennsylvania, Delaware, and New Jersey. Our Green Lawn Program helps ensure your lawn is the healthiest it’s ever been. Call us today at 888-581-5296 for a free quote.